Electronic toys are always a big hit when it comes to kids, but as a mom, I know how important it is for my daughter to not only to have fun with technology but to learn from it as well. 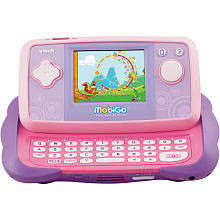 I don't know about you, but my daughter is already receiving computer classes in Pre-k! (Although I have to admit that she's been a pro at it since she was 4). Kids are getting more and more computer savvy and I for one think we should we should encourage their developing minds with fun/educational toys. There are a lot of great products out there that provide our kids with cutting edge technology and a learning experience all in one. I've been researching them as Christmas Presents for my daughter and thought I'd share them with you in case your in the market for them as well. I've talked about a little about this product before. It's a tablet/kindle/and ipad all rolled into 1. It's a 6-in-1 smart device and flips open and turns from a book into a game player, notepad, art studio, MP3 player, and photo viewer. 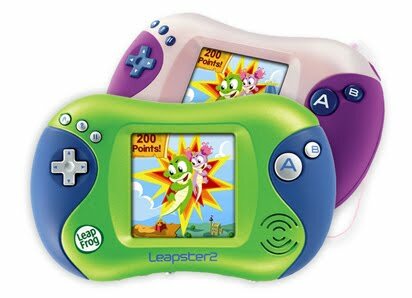 The Leapster2 handheld offers a robust learning experience through built-in tutorials and learning levels that adapt automatically to your child's pace. 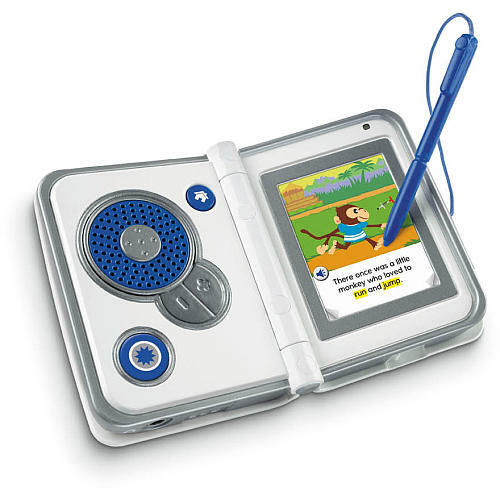 Its touch screen and stylus help develop motor skills used in writing, while its compact design makes it easy for kids to play on the go. 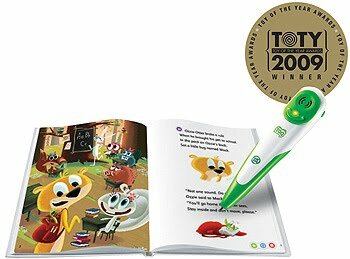 It's also compatible with all 30+ Leapster learning games, so kids can practice a wide variety of skills for school as they play and learn with their favorite characters. 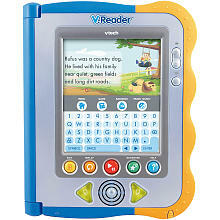 Kids learn to read and love to learn with the Tag Reading System by LeapFrog. This amazing touch reading system brings stories to life like never before. 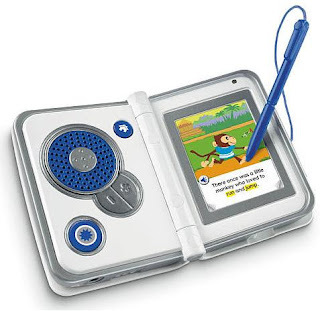 Simple touch the Tag Reader to the pages of specially printed storybooks to instantly hear the voices, music and sounds within each story. Kids have fun new ways to learn right at their fingertips. Thanks to great touch-screen games that require players to use their fingers in ways that mimic real life motions, kids will feel like they're part of the action. The touch-activated screen and QWERTY slide-out keyboard look and work just like those on grown-up gadgets to help kids challenge their minds and learn valuable lessons about numbers, counting, letters, spelling, problem solving, music and more. Children will discover the joy of reading while seeing well-loved characters like Shrek and Disney Fairies in stories with vivid animations. As the stories come alive with animations and sounds on the color touch screen, children take a journey into a world of imagination while developing the necessary building blocks to grow from a pre-reader to a confident and fluent reader. Each storybook cartridge includes a fully narrated and animated story, 8 reading skill games, and a Story Dictionary. Just blogging around this evening and found your blog. I love reading all the different blogs, they are all so different and unique. You've done a nice job with your page. Thank you for letting me visit.